Expungement for criminal records in Westfield, Indiana is now a possibility. A new law has passed that allows certain misdemeanors and felonies to be erased and eliminated from all criminal history and background. A clear record allows citizens to achieve better jobs and a more fulfilling and productive life. These services are affordable through our criminal defense law office. Just call 317-636-7514 and see for yourself! You can get professional services for criminal records expungement in Westfield, Indiana simply by calling our legal team today! Do you wish you could expunge a felony or misdemeanor from your record in Westfield, IN? If so, call our attorneys for the most accurate industry advice and information about criminal record expungement and more. We offer free consultations so that you can have a professional determine your qualifications. 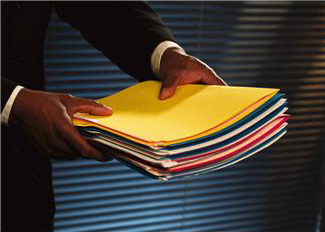 If you meet all the requirements, we can have your records expunged in as little as one year! Call our team of expert attorneys to discuss the proper steps to expunge a felony or misdemeanor in Westfield, IN or its neighboring counties. What Can Be Expunged From Criminal Records in Indiana? Class D Felony Convictions; Including Drunk Driving with Priors, Theft, Possession, Fraud, Intimidation, etc. *The Excluded Felonies MAY Be Expunged By a Court Under Specific Circumstances. Call 317-636-7514 to learn these qualifications.